Torx head is a kind of fastener, which uses a 6 pointed design rather than a Phillips cross or age-old slot design. 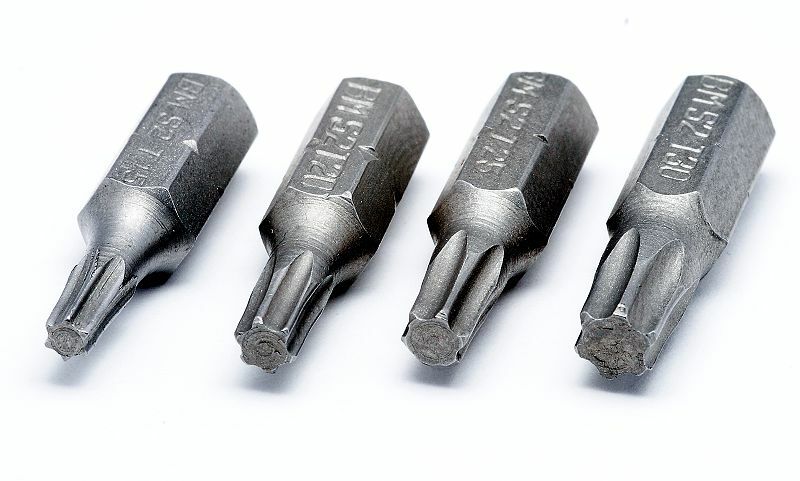 The shape of the head of this rivet looks like a star and hence, it is also referred to as tar screwdriver or star bits. The more specified generic name given by International Organization for Standardization is hexalobular internal. Torx was invented by Camcar Textron in 1967. Earlier, these kinds of screws were sometimes used in applications, which required tamper-resistance feature, as the screwdrivers were not widely used. However, these days, they are widely used in automobiles, bicycle brake systems, motorocycles, consumer electronics, hard disk drives etc. These are now increasingly becoming popular in construction hardware as well. The torx screws are better than Phillips head types, as these can withstand more cam-out as compared to Phillips heads. While Phillips heads are designed to make the drive cam-out, the Torx heads are designed to prevent the cam-out. The driver design of this particular fastener as compared to others applies desirable torque consistently, thereby increasing the life of the tool by ten times. The Torx screw sizes are mainly referred by capital letter “T” and the small number along-with it refers to the point-to-point dimension of the screw head. USual sizes commonly found in market include T10, T15 and T25. Sizing is a relevant factor to be considered while going for these star bits, as an accurate driver can only drive a particualr head size without damaging the rivet or the driver. The above described Torx head sizes are used in application with metric, SAE and other kind of thread systems. This ultimately reduces the bit sizes, thus making them function in a more effective manner. These fasteners are also tagged by “E“. The E & T are coreelated to each other, for instance, E4 Torx socket fits in with a T20 head. Below is a chat mentioning properties of various Torx drives. Do have a look! 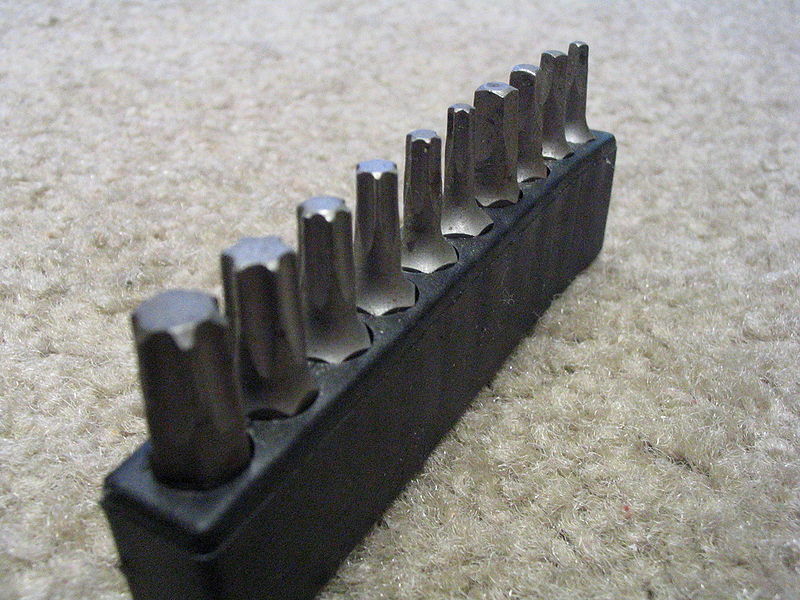 Security Torx, which is also known as Tamper-Resistant Torx or pin-in-Torx is a variant to Torx head. It features a post in the middle of the head, thereby preventing a commonly used Torx driver from being used applied. There’s another variant known as external Torx, whose head resembles the shape of Torx screwdriver bit. It requires a special kind of socket to drive it. There are basically used in transmissions and automobile engines. 1. Torx screw and screw drive types. What are Socket Head Cap Screws?